I wanna play with it, I can either make it a speedball only marker or including rec ball. Don't you have a clone right now? nope, I wish I do though. With buying a house soon, recent trip to hawaii and my brothers wedding coming up finances have been tight, which is why I have been keeping myself entertained with picking up good cheap markers and upgrading the ones I have. I do post in the macdev forum a lot on pbn cause i like to help/give input and since macdev is my fav manufacturer that still exists I learn everything I can about everything they make. I do run a matchstick kit and gladiators on most markers too. 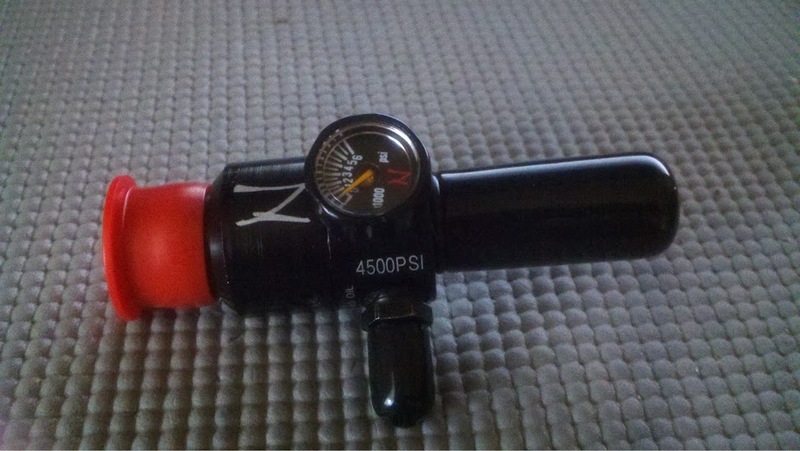 haha, somebody on the nation is offering $350 for my supercharged marq. he told me " well people are selling the marq rapper for $300. I told him to go find a supercharged engine for sale someplace and then get back to me. new part finally came in, installing this week sometime. and I got the L7 bolt for my PMR installed, just need to get the chirping fix from techT and dial it in and it will be nice. ninja regs are sick, I love mine. I am a ninja man for life. Anyone going to try the new pro reg? I would, but I have no reason to change out the Ninjas I already have. It is like buying an LED light bulb. You buy one and you never need to replace it. This one is the std adjustable 4500k ultralight. Didnt want to get the SLP right now for use on the FSP. When I get a second tank I will probably get one of the new pro regs if I get something that doesnt already have a ninja reg on it. I am sending my Myth to GA to have a new bonnet put on since the threads broke. might sell that when it comes back to start the fund for a 2nd tank.